Charlie Sparrow is an agent for CI-2. For a three-book series, there is surprisingly very little information about the background of Sparrow. There is virtually no glimpse into his life before his employment with the secret American intelligence agency, nor do we gain too much about his likes or dislikes while he works there. We can be learned must come more from observation than description. Sparrow is still likely in his mid to late 20s based on the enthusiasm he shows in his interactions with people and with the risks that he sometimes blithely takes as though certain that eventually he will find a way out or someone will come rescue him. He is very good looking and in fair to good physical shape, shown by the fact that younger women are always taking a second or third look at him and usually responding favorably to his flirtations. The fair-to-good for his body comes from the fact that while he can handle himself well in a tussle, he is by no means an easy victor. Add to that the amount that Sparrow loves to drink and the late hours he is habitually keeping makes exercise something he pays little attention to. Sparrow is moderately good at spy craft, which is the best that could be hoped for if he were still new to it, having only been doing to for at most three years. He is skilled in the use of weapons and is best with a long-range rifle. Despite his probably poor training regimen and his fondness for wine, women, and song, when it comes time to actually work, Sparrow shows time and again that he has a brain and knows how to use it. He also has a sharp tongue, a biting wit, and a weakness for not keeping either under wraps. This delights the ladies he deals with but keeps his seniors at work on the edge of strangling it at times. They resist because he really is good at what he does. Note: The paperback version of the second book has the most unusual cover of any of the thousands of spy books in this collection. 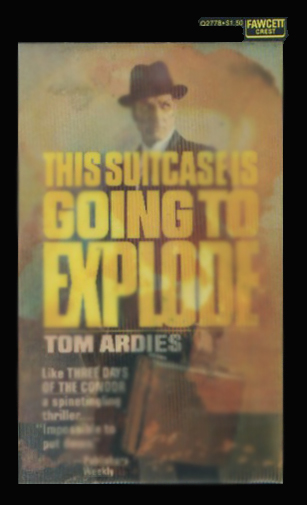 It is a hard pasteboard attached to the front containing a hologram of a man holding a briefcase. Turn it slightly and you see a mushroom cloud come about. It is eye-catching to say the least. 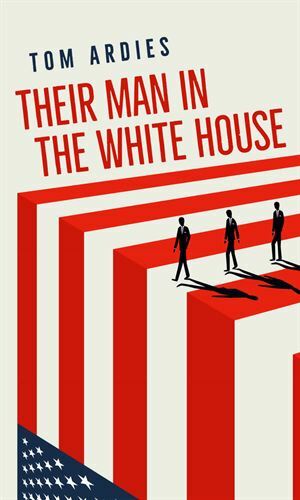 Initially sent to protect a multimillionaire thinking of running for President when several other candidates have met with violent deaths, Charlie Sparrow soon begins to suspect that there is something seriously wrong with the background of the would-be candidate and it all points to Moscow. A leading scientist in the Manhattan Project, who disappeared in protest after the first bomb was dropped on Japan, has returned with a befuddled mind talking of dozens of suitcase atomic bombs planted in major cities across the U.S. Charlie Sparrow is a major player in the team to find the truth and the nukes. Charlie Sparrow's superiors are concerned that one of the world's richest men has something other than business-as-usual in mind as he secrets himself and his top advisors. The indications are that he is creating a version of the flu that he can use to save the world by eliminating most of the humans who mess it up. 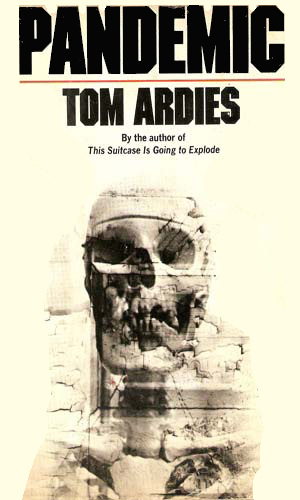 Fairly light and almost 'airy' spy books virtually never turn out to be good adventure stories. The Charlie Sparrow chronicles are the wonderful exception. The first story is a terrific mystery, the second is a darned good suspense, and the third is actually quite chilling. At the same time, they are filled with Sparrow's unremitting belittling of the whole intelligence field. I would really recommend these three for those who want good yarns with good cynicism. Sparrow is a great one for nibbling at the hand that feeds him and then saying something rude while trying to make amends. As a character to read, he is fun. As a friend, I would have punched him long ago.